By sjurvetson on May 13, 2009. 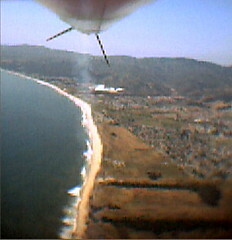 "Icarus" came back about 15 ft. from the pad, a lawn dart under thrust. We will cover the basic CG>CP rule of rocket science in a future post. The simple redux version is that for a normal shaped rocket to fly stable, you want the weight balance shifted up to the nose and the fin area shifted to the rear. For mid-power rocket motors, Aerotech is the major brand, with Animal Motor Works, Loki and others as alternatives. In the U.S., you can buy motors up through letter grade G over the internet without any hassles, permits, hazmat charges, or ATF interviews. In a future post, we'll cover the high-power certification process, but fear not, it's much easier than it seems at first, and I would not recommend thinking about it until you have launched a mid power rocket and found a love for it. For mid and high power rockets, the propellant is solid APCP, sometimes with colorful metal oxide additives (for red, green, blue, flesh, sparky, black or white plumes). Sugar and Hybrid NOX-rubber rockets are another advanced topic for later. By the way, for any of you with Estes rocket kits, Aerotech has an AP composite motor that packs twice the punch in the same space. 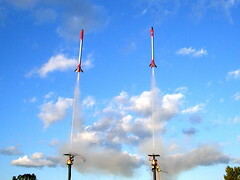 They recently launched their own direct sales site to compete with Estes. I just launched a couple of these motors last weekend in old Estes kits, and they were quite impressive. For your local club, check Tripoli if you aspire to one day do the big stuff or NAR for a more mainstream experience. On the Tripoli page, the "Clubs" menu pull-down offers some international prefects as well. As an example, Silicon Valley has the largest rocket club in the world - LUNAR - but we barely have a single legal launch site anywhere in the Bay Area, having been evicted from Livermore, De Anza and other locations. 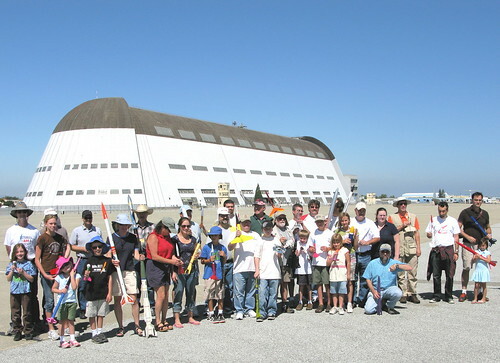 We recently secured NASA Ames as a launch site, and I plan to be there for the June 20 launch. I loved model rocketry as a kid; I love it now as an adult, and I love watching my sons watch the rockets they build soar. 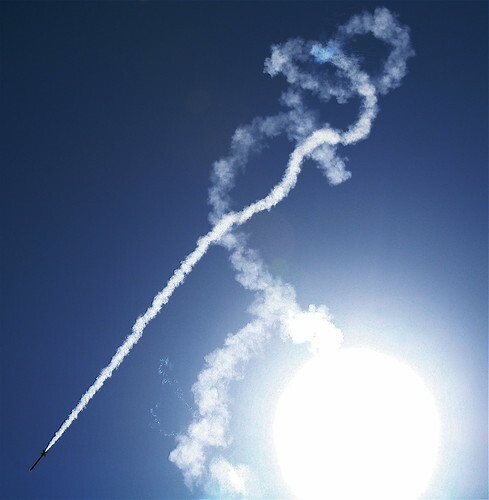 But I've never gotten a serious answer about how adult rocketeers deal or should deal with the environmental downsides of rocketry, such as the obvious air pollution and, more importantly, the ammonium perchlorate residue that contaminates the groundwater. The whole rocketeer's code is meant to make sure that people act responsibly, so how do we act responsibly with regard to the polluting potential of engines, especially composite engines? That's so true about losing rockets. The last time I launched one I was maybe 15; the rocket was a hand-sized Mosquito painted florescent orange, and color notwithstanding we never found it. RK: you can take some solace in the relatively insignificant amount of perchlorate you're dropping. On some days after a shuttle launch here at Kennedy, one can find a fine powder dusted over your car at the end of the day. We are a wildlife refuge, and must still adhere to pretty strict standards as far as the level of damage that can be done. Wildlife is, to say the least, going strong here. Basically, I'm saying it's a matter of volume, and toy rockets are no where near that range, even if you do launch 10 times a day and we only launch a couple times a year. And yes, SRBs are APCP. Just, a heck of a lot more of it: over two million pounds worth per launch. I doubt the whole of a rocketry club, over the course of a lifetime, would amount to a single SRB's worth. Although not unimaginable, but it would mean ~43lbs of APCP a day, every single day, for 70 years. For one solid. Spiv: You're right; the dose makes the poison. Still, I would like to see model rocketeers be the first to come up with a replacement for APCP!